The Vacuum Evaporation System for Optics, the ORION-90T, is designed for optical coatings on ophthalmic lenses in medium to large sized labs. 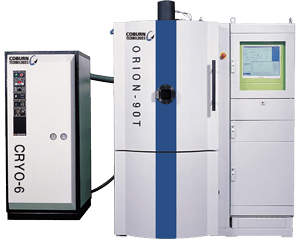 The system is intended to be installed in dry, clean rooms of vacuum labs or vacuum coating workshops. The environmental conditions must be as follows: temperature range of 18-25˚C and relative humidity of not more than 55%. Heating System: Infra-red 1KW Heater. Required Space: 4500W, 3000D, 2500H mm.